Before making the decision to open up a precious metals or gold IRA, it is important to get all of your questions and concerns answered, so that you know you are making the right financial decision for your future. 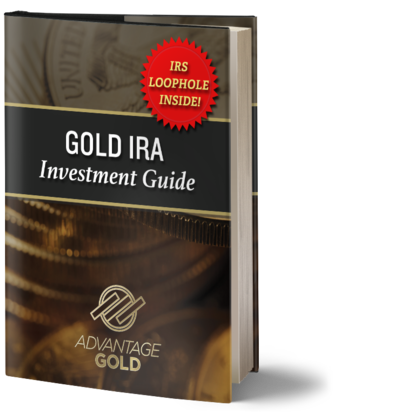 This page list the top questions that most investors have before opening up an IRA account with Advantage Gold. A: There are no minimums o open up an IRA account with Advantage Gold, but be aware that there are IRA custodial fees that range from $175 – $225 annually so Advantage does not recommend anything under $5,000. A: Advantage offers you three convenient options to help you fund your account. An order can be funded via rollover, a new IRA contribution, or a simple bank wire for Direct Delivery. A: All shipping is registered and insured straight to the depository of your choice. For Direct Delivery Advantage uses a range of registered and insured shipping options from USPS, UPS, and Fedex. For orders above $250,000 Advantage usually arranges for secure armored shipping straight to the bank or storage facility of the clients choice. It is ultimately up to the client to select their preference of shipping options and the company caters services to each individual’s preference. A: Once you receive your metals inspect them and match them up with your order confirmation. We suggest immediate storage of precious metals once they arrive. From there it is totally up to you. You can keep them in a safe, hide them, use a bank vault, a safety deposit box, or non bank private storage (we can recommend a number of facilities). For most investors a safe deposit box at your local bank is the best place to store precious metals. They are relatively inexpensive and typically cost $75-$125 a year depending on the size. Safe deposit boxes are secure and easily accessible. You can visit your safe deposit box six days a week at most banks, and can store additional items of value including stock certificates, important documents and jewelry. Your safe deposit box is completely private and you are not required to disclose any information to the bank regarding the contents. A: Advantage has the best buy back policy in the industry. It is a fact that they pay more than most of their competitors when buying back metals from clients. Advantage will always pay the going market rate for each individual coin the company repurchases as opposed to the spot price (which is what most dealers pay). The market rate of the coin is higher than the spot price and Advantage believes that their clients deserve the maximum value. Contact an Account Executive at Advantage Gold for if you are interested in finding out more about buying gold and their buy back policy. A: Yes. In the current economy there could not be a more liquid asset. Gold has been in a bull market for the last 8 years and as demand continues to grow so does the liquid value. Gold has had a value for over 6000 years and is one of the only assets you can take anywhere in the world and liquidate. Gold is one of the most liquid assets in the world. It is accepted across all currency pairs and has universal value. You do not need the US Dollar to be accepted if you have gold because an investment grade gold product can be sold anywhere in the world. That is one of the best features of physical precious metals- there is no counter party risk and the coins are extremely liquid. A: There are typically three types of physical gold you can invest in. The first type is gold bullion which is any gold that continues to be minted to this day and has no rarity to it. The second type is rare gold also known as numismatic or certified gold and this is any gold coin that is no longer be minted or that is minted in low supply. The third type of gold you have to choose from is proof gold which was designed specifically for retirement accounts in 1987. Advantage Gold is a listed dealer with the US Mint and the Royal Canadian Mint so we are able to acquire any type of product. When dealing with IRA’s however, the IRS has strict guidelines for quality, purity, and condition of the metals that are allowed inside of the IRA. Only brand new and uncirculated investment grade coins and bars are permitted for IRA storage. The most common items that are permitted inside of the IRA are gold and silver American Eagles, Canadian Maple Leafs, Austrian Philharmonic coins, and gold and silver Canadian Bighorn coins. The IRS also allows proof gold and silver American Eagles but ONLY if they are still in the original mint packaging with the accompanying certificates of authenticity. Bars are also permitted in the Ira if they are from IRS recognized and approved private companies such as Pamp Suisse, Credit Suisse ad Johnson Matthey to name a few.